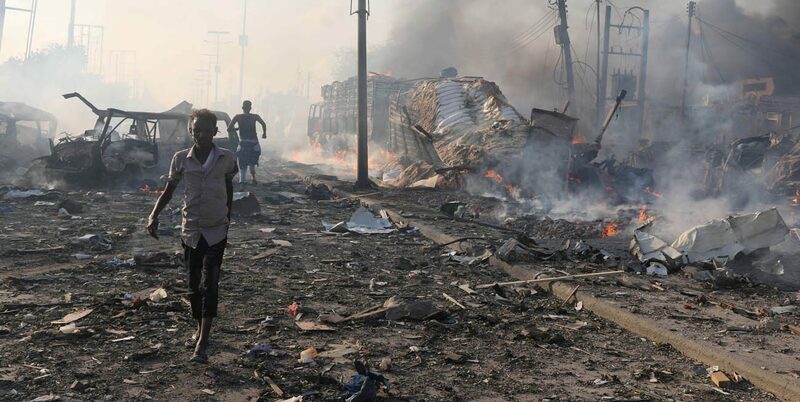 VATICAN CITY (CNS) — Pope Francis prayed for the victims of a terrorist attack in Mogadishu, Somalia, that left hundreds dead and countless wounded in one of the deadliest attacks in the country’s history. “This terrorist act deserves the fiercest condemnation, especially because it victimizes people that are already so tried,” the pope said. Mogadishu erupted into chaos Oct. 14 when a minivan and a truck carrying military grade explosives exploded near a security checkpoint. Investigators believe the attackers were targeting a heavily guarded compound that housed many embassies, United Nations’ offices and African Union peacekeeping forces.